I am not sure if the greenery is boxwood but it worked very nicely in a clay pot (emptied of dirt) with a bit of embellishment. 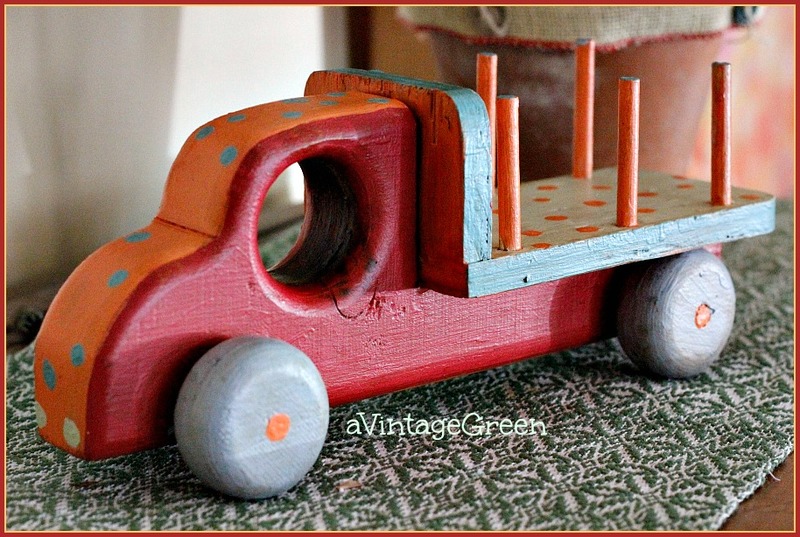 I found a wooden truck and I've painted (used various colors of chalk type paint) and finished with Polycrylic. I used a the eraser on a pencil for making the dots. 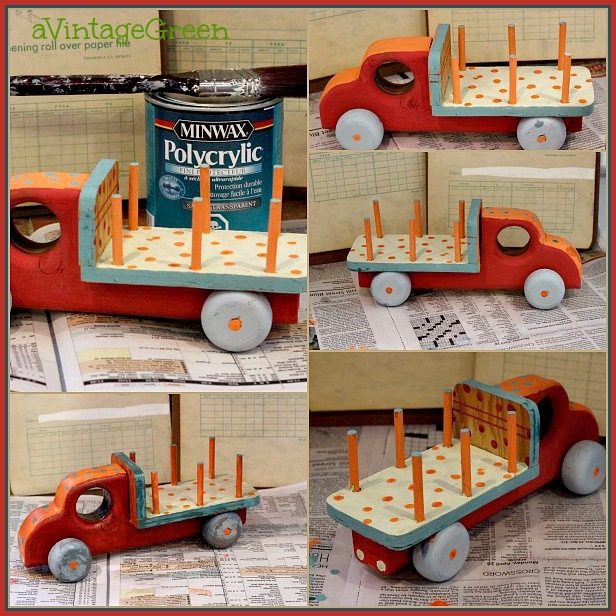 It took as long to paint this little truck as it does to paint one coat of a small table. Thanks for visiting. See you Monday. Boy - sometimes little things like the truck take a lot loner than a larger piece. It's so true! Your finds are awesome as usual. 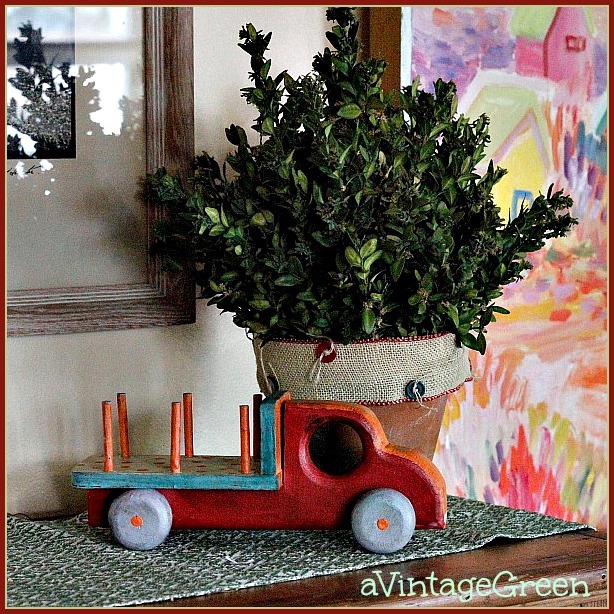 I love boxwood and clay pots ~ they make a perfect pair. Your truck is adorable. I love the colors and the polka dots! I love the paint job you gave the truck. It is properly distressed and worn. 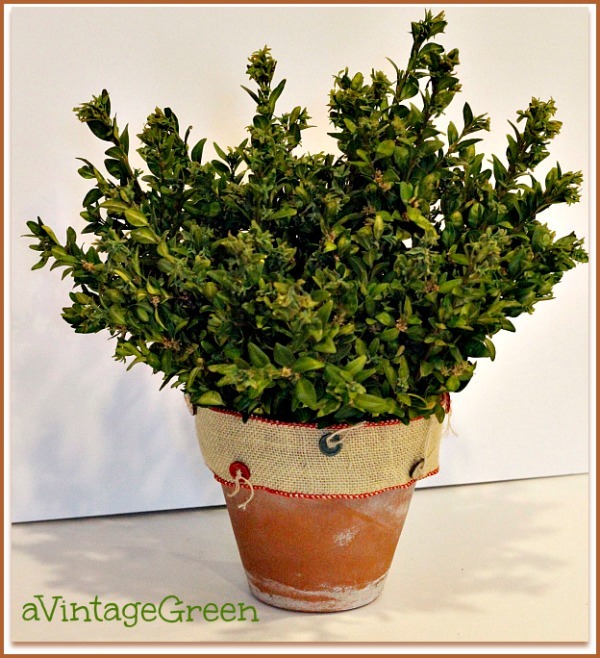 Cute ribbon used on the pot of boxwood. Your truck was totally worth the time, don't you think? Love that pot and boxwood!! What is to the right of it? A chalk drawing? Watercolor? Whatever it is - it is pretty! The colorful background is a huge acrylic painting. 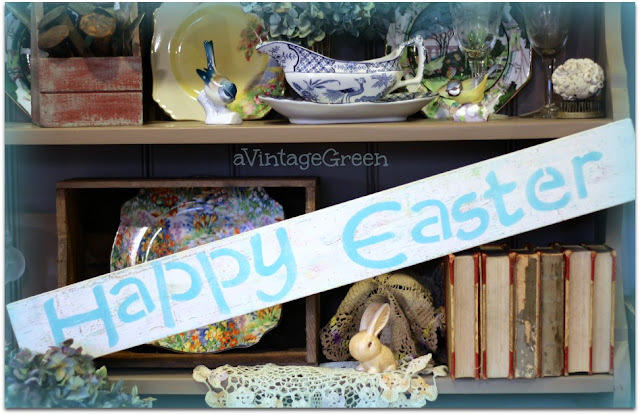 "A Vintage Green" has been included in Friday's Sites To See for this week. Be assured that I hope this helps to point many new visitors in your direction. What a fun and cute little truck. I think the polka dots are wonderful on this piece. I love your truck and how you painted it, adorable. The painting on the right is so nice, and I like the ribbon you used around you planter, is it from HL? Polka dots are charming on anything. You took the trunk to a whole new charming level. Well Joy, that paint job on the little truck sure made it special. Love the polka dots. Very unusual burlap ribbon with the buttons ... love it. The truck is amazing! COngrats for the great idea! 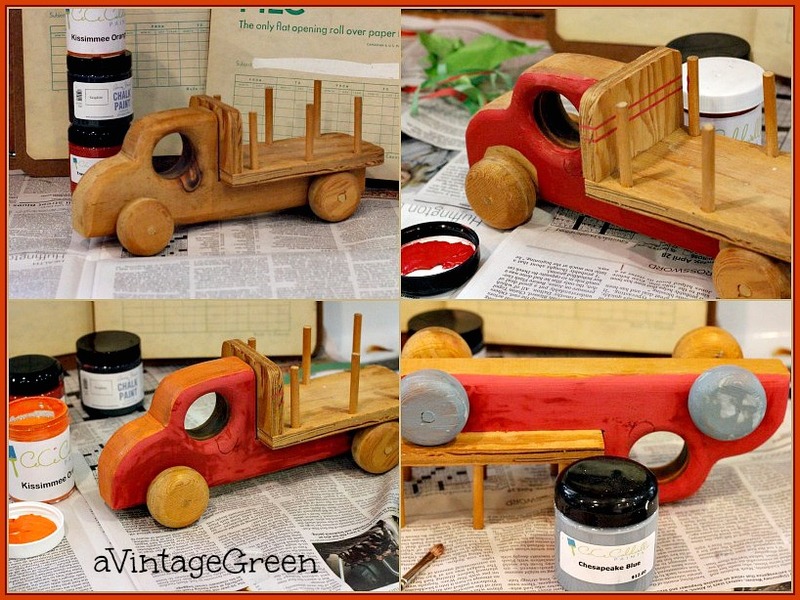 It may have taken awhile to paint but it certainly is cute, and looks perfect with the clay pot of greenery!